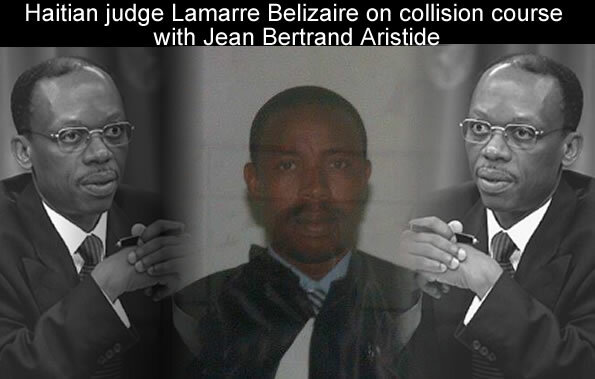 As this picture illustrates here, it seems that Former Haitian President Jean Bertrand Aristide is making Judge Lamarre Belizaire having a double vision. Others will say that he is obsessed with the Haitian Leader. Judge Belizaire has issued an extraction order to Police Chief Orelus to take ex-President Aristide to Belizaire's office. Aristide is already under house arrest. Belizaire warned Orelus he would take legal action against Orelus if he didn't comply with the extraction order, the same threat he made last month to Orelus about not issuing an arrest warrant. Aristide is alleged to have been involved in money laundering, drug trafficking, and embezzlement of hundreds of millions during his presidency. PeopleAttorneys Newton Louis St Juste and Andre Michel wants an investigation to be conducted on the life style of Judge Lamarre Belizaire be conducted. They are inviting the government entity against corruption to check his finane. According to Attorney St Juste, Judge Lamarre belizaire doesn't make more than $1,065.00 a Month or $12,540 a year. In the mean time, the judge is currently in the process of building two complex Apartments. 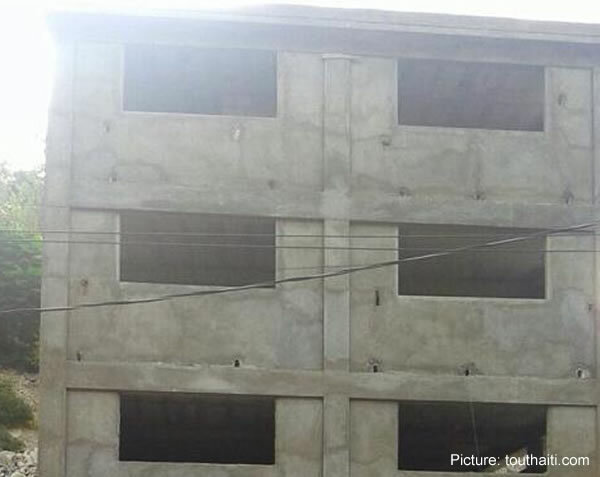 So far, for these buildings that are not even half way built, an estimated $500,000 has been spent on them. If the figures provided by Attorney Newton st Juste are correct, the amount already spent on these two apartment complexes represents close to 40 time his annual salary. According tp St. Juste, a complaint was filed at UCREF and ULCC to have them conduct an investigation of this situation. Avoka Newton St Juste et Andre Michel vle mete Met Lamrre belizaire nan kouri oui. Yo di ke Jij la ape bati de Apatman nan Port-au-Prince ak Petion-Vill kote li deja depanse $500,00 Amerikin nan yo. Cepandan Avoka yo di ke Jij la ap touche selman $12,540 pa anne nan travay li. Avoka yo fè konnin anka ke madam jij la, Marie Denise Pierre Belizaire, fek jwin yon travay nan Konsila Ayisyen-a nan New York. Here is an illustration as to what Judge Lamarre Belizaire had to go through recently in the case of Former Haitian President Jean Bertrand Aristide. According to our record, a total of 5 attempts have been made between August and October 2014 to bring the former priest and President to court. All of them have failed. 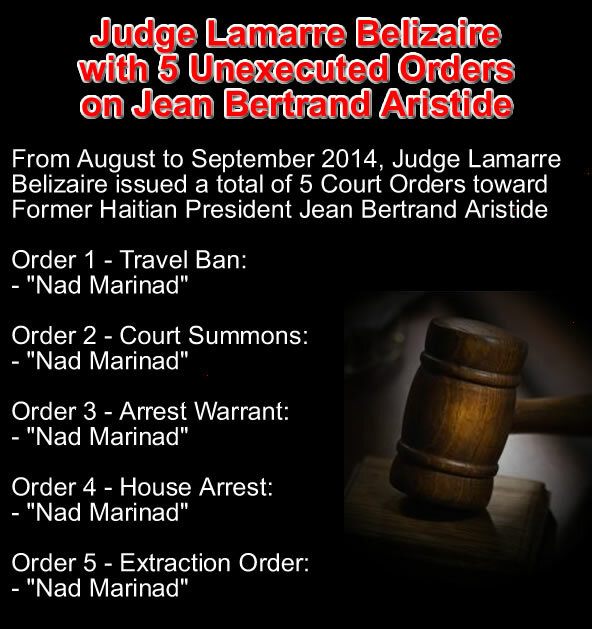 Judge Lamarre Belizaire first issued a travel Ban on the former president. However most people agree that since his return from exile, Aristide has not been anywhere, inside or outside of Haiti. Second, an Order was issued, Summoning him. He did not go. 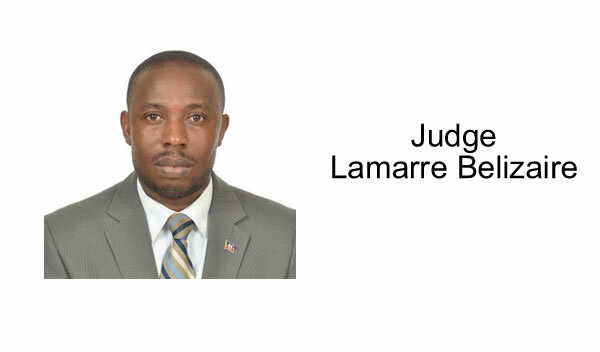 Judge Lamarre Belizaire is taking his fight to the next leader of the Lavalas party. 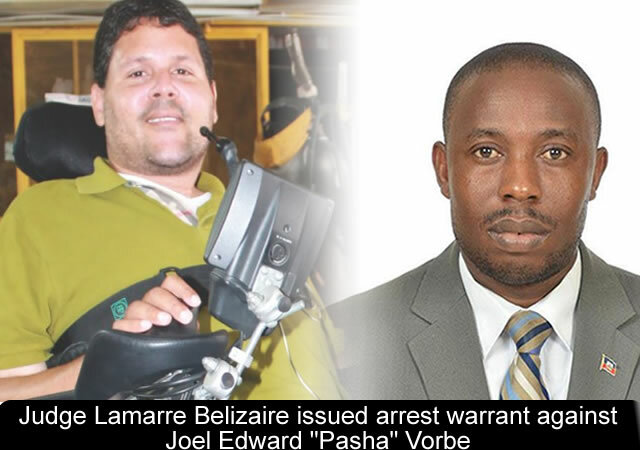 On Tuesday, September 16, 2014, Joel Edward "Pasha" Vorbe of the Lavalas Party has been served with an arrest warrant. Here is a picture of the famous Haitian Judge Lamarre Belizaire. He is currently involved in several high profile cased. The latest case he is involved with has to do with corruption and money laundering charges against several members of the Fanmi Lavalas Party, including former President Jean Bertrand Aristide. Judge Lamarre Belizaire recently had some issues with Radio Kiskeya in Port-au-Prince. He recently sent a summons to the management of the radio Station for broadcasting information that he was suspended by the Bar of Port-au-Prince. 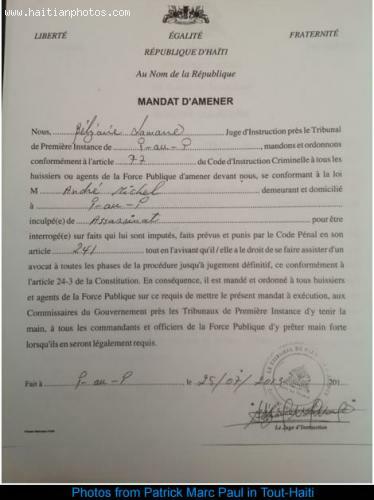 Here is a copy of the "Mandat d'Amener" issued to Me Andre Michel regarding the assassination in October, 2010, of the 4 year Law school student Frantzi Duverseau. It was reported that in October, 2010, Frantzi Duverseau was executed by PNH hit team on the front steps of his residence. As a result, Me Lamarre Bélizaire has issued a "Mandat d'Amener" to both attorneys Andre Michel and Enold Florestal, implicating both of them in the assassination.